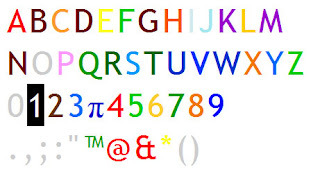 The above colorful alphabet is an example of what one of my friend sees whenever he sees words. The condition is called synesthesia and it comes in many forms. I love the fact that me assigning gender to numbers isn’t that out of the ordinary! Click here to find out more.